Since 1954, Keith Company an industrial furnace manufacturer, designs and builds custom high temperature furnaces, kilns, ovens, lehrs, thermal oxidizers for abatement of VOC's, and integrated automation and data management systems. 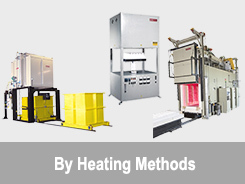 We are pioneers in the development and commercialization of unique process heating technologies that have raised worldwide performance standards and expectations. These technologies include low-mass furnaces and kilns that radically reduce firing times and energy costs, continuous furnaces with significantly increased throughput and minimized operating expense, high temperature furnaces to 1800°C, and integrating automation and abatement systems. Our furnaces meet pyrometric requirements of AMS 2750E, NADCAP AS7102, MILSPEC H6088, BAC 5621, Rolls Royce RPS 953 and DPS 1.700. Our expertise is in designing and manufacturing of high temperature thermal process equipment used to produce parts for the oil, aircraft and space, advanced materials, bio ceramics, glass and ceramic membrane industries. 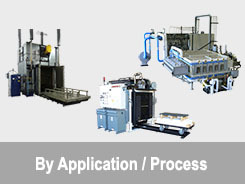 Our business is application driven and requires in-depth knowledge of various thermal processes. 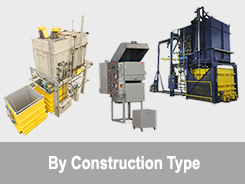 We custom build a wide range of equipment ranging from a simple batch furnace to complex, fully automated continuous systems with or without atmosphere to exact customer requirements and specifications. The company is classified as NAICS 333994. The Keith Dual Chamber Heat Treat Furnace features a 2250°F upper hardening chamber and a 1250°F lower recirculating chamber for tempering/drawing. The over/under configuration of the two chambers saves floor space and allows for immediate tempering or drawing after quench without waiting for the hardening furnace to cool for tempering or drawing applications. 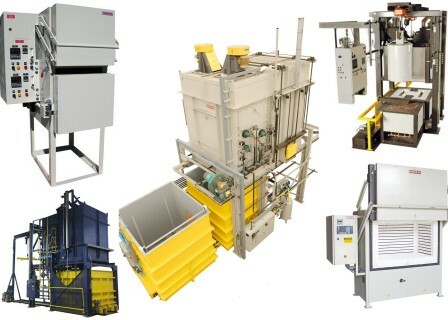 Our dual heat treating furnaces come in a large variety of chamber sizes with other optional features and upgrades to better meet your heat treating requirements. Keith's Dual Chamber Furnaces are designed for those who want a hardening furnace and a separate furnace for tempering all within minimum floor space. Keith's Bench Top Furnaces can be classified as one of three basic types, "Heat Treating Furnaces" also known as hardening furnaces, "Draw Furnaces" also known as annealing, tempering or forced convection furnaces and "Assaying Furnaces" used for gold determination as well as jewelry making. While the core business is centered on designing and constructing special high temperature industrial furnaces and kilns, Keith also maintains a very responsive service and spare parts business. 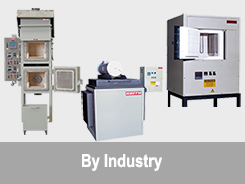 Over the years, Keith Company successfully integrated Recco Furnaces, CFF Kilns & Furnaces and KMI Refractories into the organization and we are now one company. Our customers benefit from partnering with a one-stop source for all their industrial heating product needs. Contact Keith Company today to put our custom furnace manufacturing capabilities to work for your unique application.